Why â€˜smallerâ€™ towns are big players this festive sale season? Why smaller towns are big players this festive sale season? This festival season for more reasons than one has been truly belonged to the online shoppers of not Metros, but smaller towns like tier II cities, and even tier III and IV cities. For over 100 million middle class families in tier II, III cities and beyond, this festival season is as exciting and joyous as the 400-odd families in Metros and tier I cities. For, these people will not have to wait for their cousins or relatives from ‘cities’ to return with festival goodies that are not available in these smaller towns. According to a recent Forrester’s report, the overall growth of tier II markets has been over 600 per cent, while half of the shoppers in tier III cities are already shopping from their phones, only one-third of shoppers in tier I cities are using their phones to make a purchase. As a majority of buyers in smaller towns turnto ecommerce for shopping, this festival season is no different. Consider this- If Paytm Mall has received over 60 million visitors from more than 100 cities other than metro cities, clocking over USD 5 billion in sales, ShopClues says it has seen strong buying patterns from tier III and IV towns, especially from states like Karnataka, Kerala, Tamil Nadu, Assam, Gujarat, and Punjab. The online player crossed 1.5 million-orders mark on Sunday. According to Amazon India, new customers have increased three times this year and have shopped on the company's platform for the first time during this sale, even as a big chunk of customers are from tier II and III cities. And it’s no different for Bengaluru-based fashion e-tailer Voonik which says as much as 40 per cent of its festive sales are coming from tier II and III cities. With over 5,000 deliveries every month, industry experts suggest that Cochin, Imphal, Calicut, Trivandrum, Bhiwandi are among the top 10 smaller cities that are rapidly turning towards ecommerce to buy whether it’s electronics or fashion. In fact, several studies say that there is high demand for fashion apparels, luxury products and even regional products in these cities. 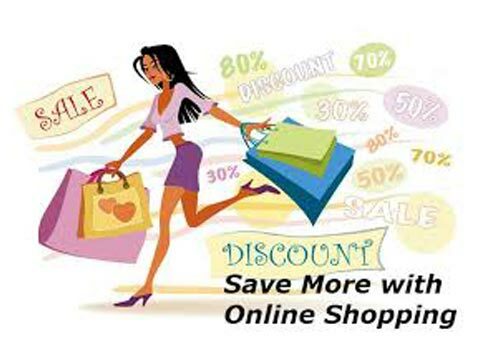 Meanwhile, it is not just fashion apparel and electronics that these customers are buying online. Interestingly, 35 per cent of sales of luxury products are happening in non-Metro cities like Ballari, Kochi, Aurangabad, and others. While ecommerce companies have gone on record to say that about 50-60 per cent sales come from tier II and III cities, consulting firm Anarock Retail explains why there is sudden boom of ecommerce in smaller towns. In its report ‘Rebirth of Retail Malls: New, Improved and Revitalised’, the consulting firm observes that India’s tier-II and tier-III cities would be a key contributor to the country’s retail growth. “More investors and mall developers are beginning to realize the massive potential of 'smaller' markets and trying to make their presence felt. Lack of physical outlets is allowing e-commerce to flourish in smaller towns and cities. This main competitor to physical retail is growing rapidly and is expected to cross $100 billion in value by 2020,” Anuj Kejriwal, MD & CEO, Anarock Retail had said. According to market watchers, the presence of big brands on ecommerce sites, along with customer-friendly services like EMI on debit/credit cards, individual offers and discounts and several easy finance schemes have played a crucial role in getting customers from smaller towns to shop online. It is not just better pricing, brand presence and quality that are driving these customers to shop online, but faster delivery to remote areas even during the peak season has been a major influencer for people to turn to ecommerce. “Many startups and even big players like Flipkart and Amazon are paying attention to the increasing demand from smaller cities. Hence, they have ensured high logistics penetration in smaller towns and even claim to reach about 80 per cent of the country, and that’s huge. Innovation in logistics and technology are rapidly changing the purchasing patterns of consumers in smaller towns,” an industry expert says.